A Social Response to competitor. During the 2017 Super Bowl, Sprint attacked Verizon in the commercial "No Need For Extreme Measures." Create a quick social video utilizing their own extreme car explosion on Twitter and Facebook that shows viewers what Sprint's 1% is really like. 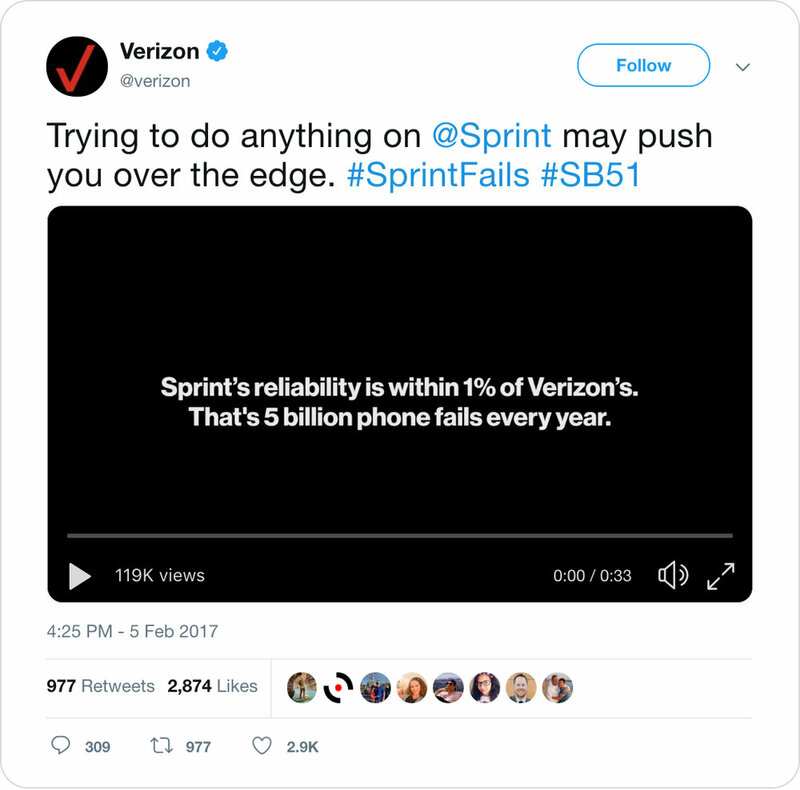 #SprintFails grabbed the attention of adweek with it garnering over 2.8 million views on Facebook and trending on Twitter.